SACO and CASWELL – Hayden D. Perreault, 71, husband of Christine (Labreck) Perreault, passed away unexpectedly Thursday, November 8, 2018 in Caswell. He was born October 3, 1947 in Van Buren, the son of Ludger and Edna (Labreck) Perreault. He attended elementary school in Caswell, and was a graduate of Limestone High School. He was married to Christine Labreck on April 10, 1994. He had been employed at Biddeford Textile for 22 years as a machine operator, and for 11 years at Pratt and Whittney as a machine operator, and recently worked at the Biddeford Library doing janitorial work until his retirement. Hayden enjoyed working around the house, planting flowers and a garden. He also enjoyed making bird houses so that he could enjoy the beauty of the birds that visited. Hayden was also an avid hunter and fisherman. 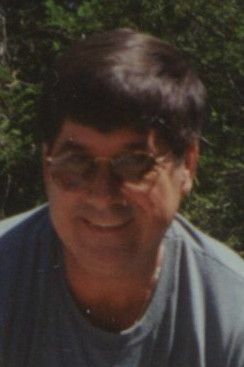 He was predeceased by his parents, and is survived by his wife of 24 years, Christine, of Saco, one son, Ricky Perreault, and his companion Nicole Petrone of Phoenix, AZ, one daughter and son-in-law, Pam and Frank Palacios of Tucson, AZ, one sister and brother-in-law, Christina and Percy Cormier of Van Buren. He also leaves behind 5 grandchildren, Corey and Jayden Perreault, Justin and Haley Nessy, and Natalie Palacios, all of Arizona, as well as several nieces and nephews. Friends may call Friday, November 16, 2018 from 6 to 8pm at the Mockler Funeral Home, 24 Reservoir Street, Caribou. A Mass of Christian burial will be celebrated Saturday, November 17, 2018 at 10am at St. Joseph’s Catholic Church, Hamlin. Interment will follow in the parish cemetery. A time of continued fellowship and refreshments will be held following the interment, at the parish hall. So sorry for your loss Christine. We have been praying for you and send our love. May the good Lord give you strength in this difficult time. Please be sure to let us know when you are back in the area so that we can offer our sympathies in person. God bless you and may Hayden rest in peace. Please accept our sincere condolences may all your memories of time spent with him bring you comfort during the days to come. You are in our hearts and prayers. So sorry Chris.know I am with you in thought and prayer.Hugs and love you much. Christine, I'm so sorry to hear about Hayden's passing. He was such a wonderful person and will be terribly missed. My condolences to you and the family, You are in my thoughts. Christine we are sorry for the loss of uncle Hayden if there is anything we can do feel free to call us. Prayers and thoughts are with you during this difficult time. So Sorry to hear of Haydens passing may he RIP.